In November 2018 Irish fans witnessed the retirements of four of Ireland Women’s greatest-ever players - Isobel Joyce, Cecelia Joyce, Clare Shillington and Ciara Metcalfe – players with over 570 caps collectively. Aaron Hamilton, Head Coach of the Ireland Women’s cricket team, spoke today about the new Irish women’s cricket landscape: “We’re at the start of a generational change - names that have appeared regularly on the Ireland Women’s team sheet for the last 20 years are no longer there. It is never an easy process to replace that level of playing experience, but we have a talented squad and a good leadership team, so we’ve a good base to grow from. “We’ve had a close-knit international squad over recent years, but with the success of the Super 3’s Series and further development of the Girl’s Academy, the ability to integrate new players into the senior set-up has become an easier proposition. We are also fortunate to have the captain and vice-captain combination of Laura Delany and Kim Garth – supported by a number of experienced colleagues - to lead that process, so I am confident we can quickly gel as a unit. 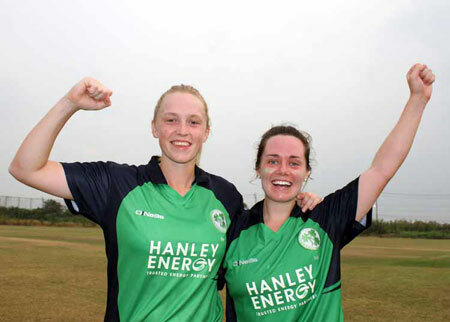 Laura Delany, Ireland Women’s captain, speaking from Melbourne where she is currently playing club cricket, said: “2018 was a year of mixed emotions for the team as we tested ourselves against the world’s best. We saw several breakthrough performances by the likes of Gaby Lewis, Lucy O’Reilly and Celeste Raack, and said farewell to four legends of the women’s game. While the international squad is entering a new cycle, it is great that we still retain some experienced performers like Mary Waldron, Shauna Kavanagh and Eimear Richardson to help the younger players step up to the demands of international cricket. “Kim and I have discussed the leadership role we will be playing in this new cycle and feel, between the senior performance squad and the Academy squad, we have a great talent pool to draw from. Amy Hunter, Anna Kerrison, Caoimhe McCann, Leah Paul, Orla Prendergast, Jane Maguire, Aoife Beggs, Sophie MacMahon, Rachel Delaney, Jennifer Gray, Hannah Little.